This northernmost group of islands of The Philippines. Batanes is a traveller’s dream destination. It is a beautiful place, eager for tourists’ attention. The 3 big islands are inhabited and can be visited for the most part of the year unless there is a weather disturbance or less calm seas that would prompt the coast guard to disallow falowa trips. Plan this trip months and months before your travel dates. Batanes is roughly 661km north of Manila or 162km north of Luzon. Batanes is often visited by typhoon since it is located on a typhoon belt. Although it has a tropical rainforest climate, the province receives plenty of rain throughout the year. The month of August is the wettest while April is the driest month. The coldest months are from December to February while the hottest months are from April to October. For tourists, Batanes can be reached by plane. As of this writing, PAL Express and Skyjet Airlines fly from Manila to Basco, Batanes. Chartered flights from Tuguegarao (Cagayan) to Basco are also offered by Northskyair and Skypasada. A huge chunk of the budget will go to the plane tickets. Most of the flights are in the morning. The Basco Airport could only accommodate small aircrafts like the turbo prop, or those running on twin propeller engines. Most airlines have only one flight per day. Cancellation of flights or flight delays must be highly considered. For the budget-conscious traveller, I recommend Marfel’s Lodge. It is strategically located at the town center, a few blocks away from Abad St., the main business street of Basco. Marfel’s Lodge is composed of the Main building, the Extension and the Annex. The latter is located near the port and a couple of restaurants. At Marfel’s Lodge, it is Php 350 per person per night for non-airconditioned room. Pay twice as much if you want an AC room. At the Annex, kitchen is available for guests if they want to cook their meal. The kitchen is also constantly stocked up with food items which you can get and pay ala-Honesty Coffee shop style. Getting in and around Batanes is a challenge as well. There are PUJ or jeepneys that ply Basco – Mahatao or Ivana but most of the times they are jampacked. Tricycles and habal-habal (single motorcycles) are also available but is pretty expensive. The cheapest way to go around Basco is renting a bicycle or motorcycle. Bicycles can be rented at Php25 per hour. Visitors to the island may consider getting a tour. This is so far the best option if one plans to visit all the beautiful spots in Batan and Sabtang. 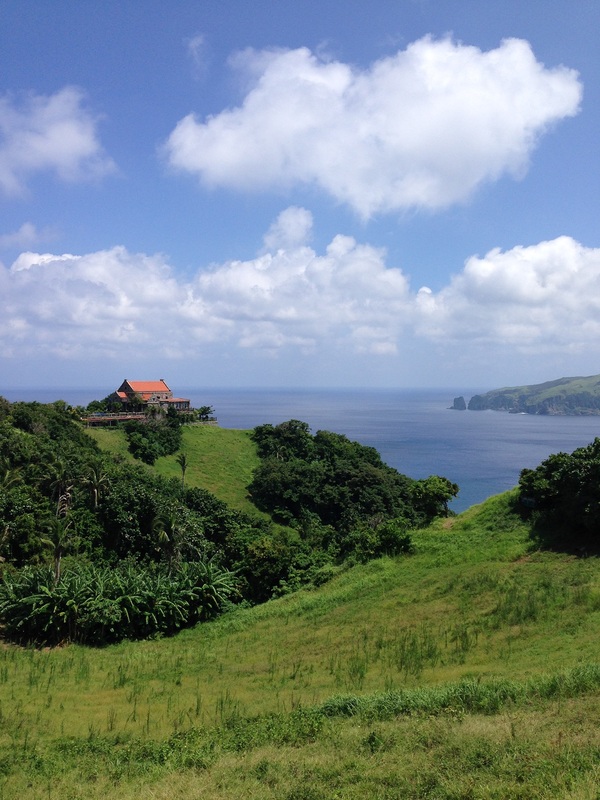 Batanes has an established network of tour guides and tour operators. Most of the tour packages are standard. The most common package is divided into 3 parts: North Batan Tour, Sabtang Island Tour and South Batan Tour. A lean-season rate would go as high as Php 4,300 per person. This rate is inclusive of lunch, entrance and registration fees. Allocate one day for each tour. Add another day as your fly-out date. Ideally, a 4-days/3-nights period is needed to cover Batan and Sabtang Island. To visit Itbayat, this must have to be arranged with the tour operators. The boat trips to Itbayat are often unpredictable since it is dependent on how safe it is to cross the waters. Crossing the water to Itbayat on a falowa boat may take at least 4 hours. If you rather go out and dine instead of cooking your own meal, there are a few restaurants that you can choose from. The Octagon View Restaurant has a broad range of food to offer, mostly the regular Filipino Dishes. If you opt for pasta and Pizza, there is small pizzeria, Casa Napoli. If you want to try Ivatan food, you may visit Pension Ivatan. Eateries in Batanes are not so common. People grow their own crops and cook their own food. Restaurants often cater to tourists and visitors, some food joints are closed during lean season. Some known Ivatan food are: Vunung (rice dish, yellow and wrapped in breadfruit leaves); Uved (dish of banana root stalks with bits of fish and garlic, boiled and usually formed into balls); and Vunes (a dish of dried gabi stalks). Steamed fern, called pako, is also a popular salad in the island. The Ivatan diet is mostly seafood and vegetables, with occasional meat. Lobsters are also common. The Tatus or coconut crab has been declared endangered but some tour packages include a lunch of coconut crabs, depending on availability. Unless your purpose is to experience and witness the Palu-palo Festival of Basco, try not to book your travel near August 8. The town of Basco celebrates its fiesta with a cultural presentation. 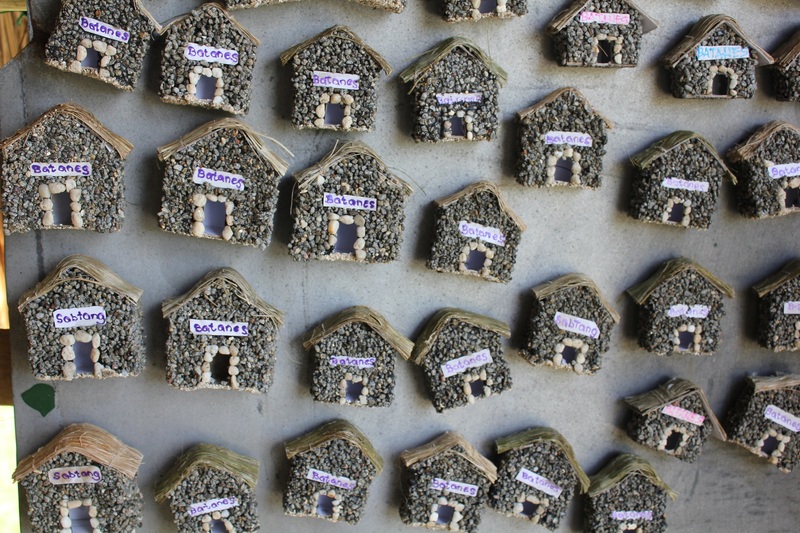 It would be difficult to find a room or a place to stay in Basco. Bring enough cash since there are only a couple of banks in Basco (PNB and LANDBANK). A meal usually cost at least Php 200 per person. Try going to the Basco Lighthouse at Naidi Hills on a bike and catch the sunset. The restaurant nearby is also open during peak season. Visit Valugan Boulder Beach or the Lighthouse near Racuh a Payaman and see the sunrise. Sunblocking lotion is not optional.